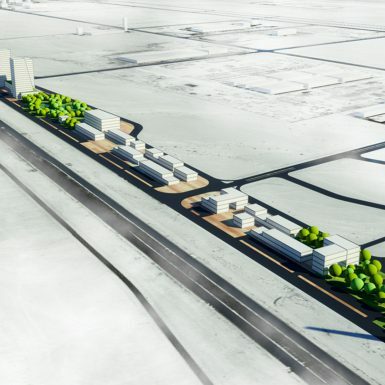 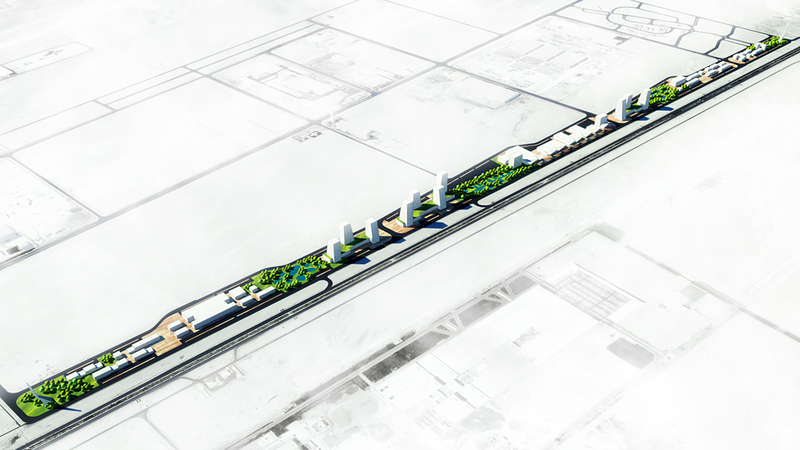 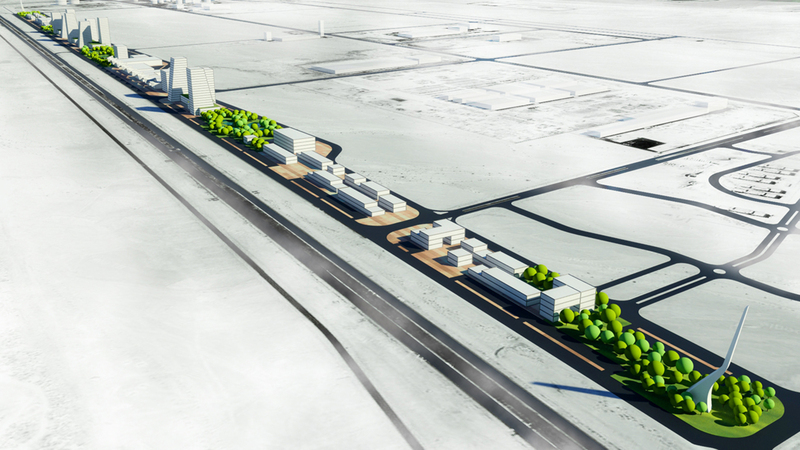 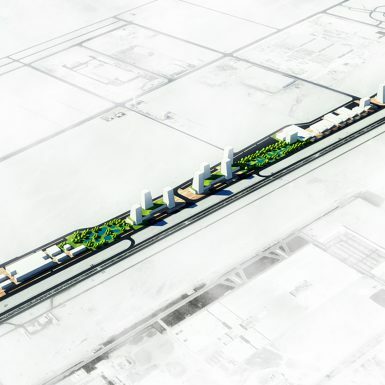 JFA was asked by SIDC to develop in innovative concept design for a new shopping center to be located on the main highway that connects Cairo with Hurghada, a resort city on the Red Sea. 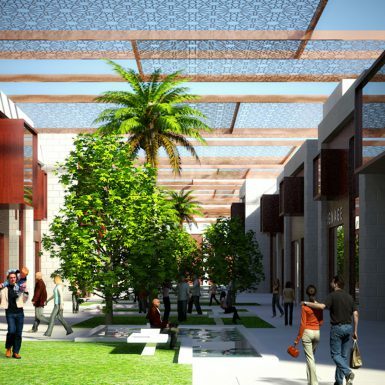 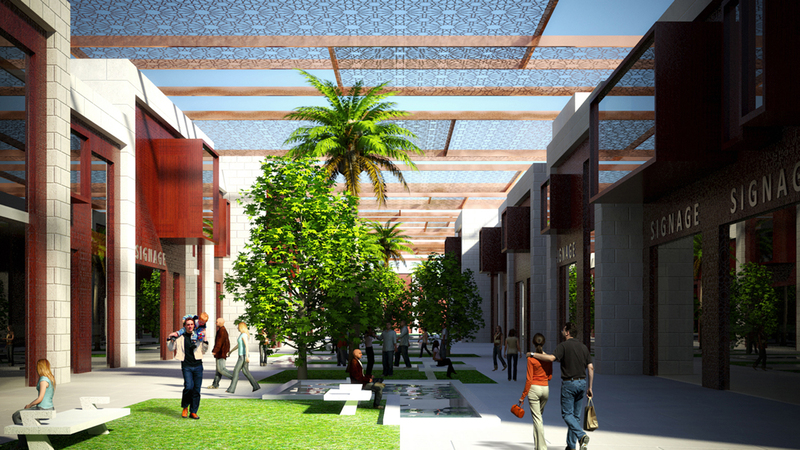 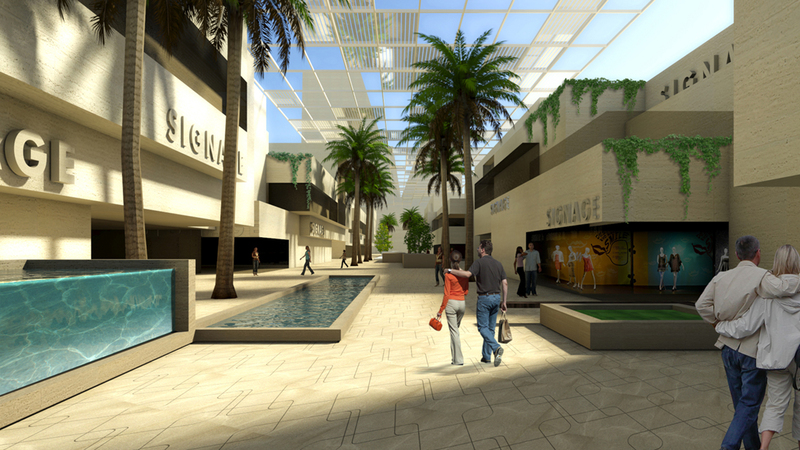 The developers envisioned a commercial center whose theme would be Egypt’s history. 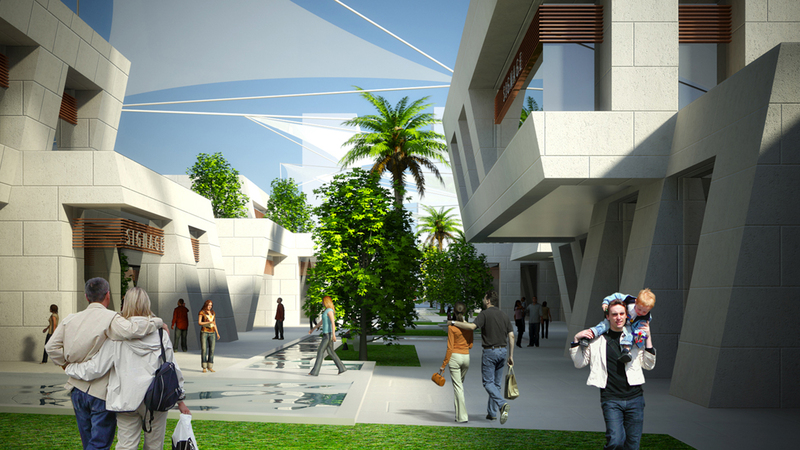 Given the linearity of the site, JFA immediately saw the opportunity to envision the complex as a “living time line”. 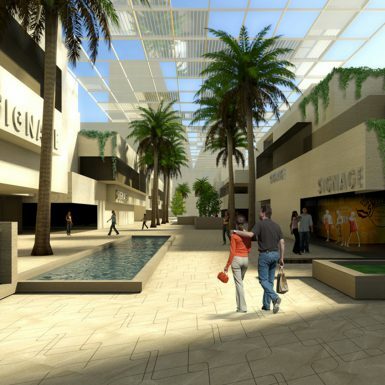 JFA proceeded to organize and partition the program into major centers of activity. 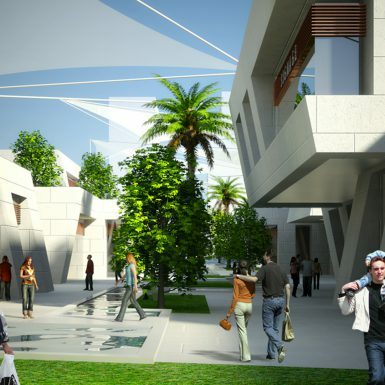 These open areas represent milestones for the end of one civilization and the beginning of another, noting ancient Egypt, the Roman, the Arab and the Ottoman periods and as well as the most recent Modern revolution. 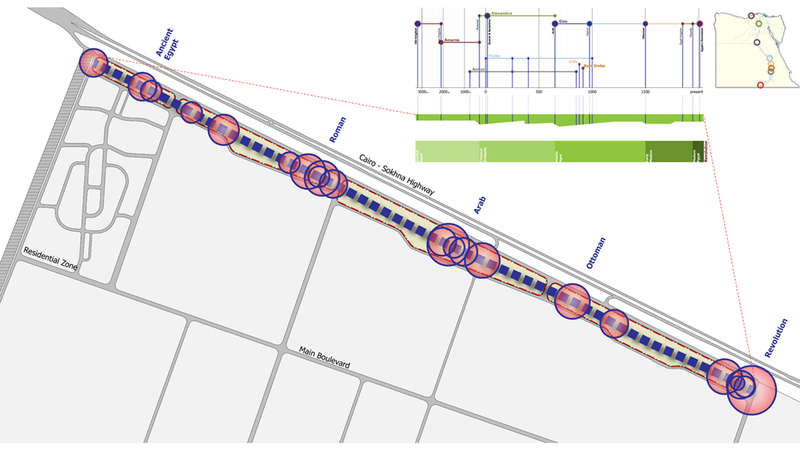 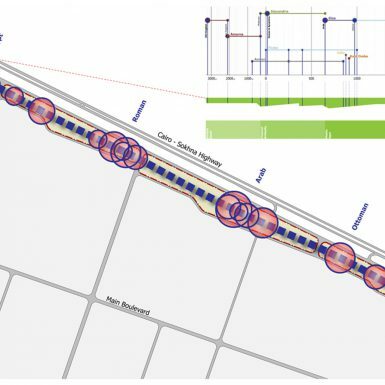 By plotting these milestones along a continuum, JFA was able to symbolically convert the temporal dimension into a spatial dimension along the site’s boundaries.